The lava dome of the Soufrière Hills Volcano, Montserrat, February 1998, viewed from Perches Mountain. 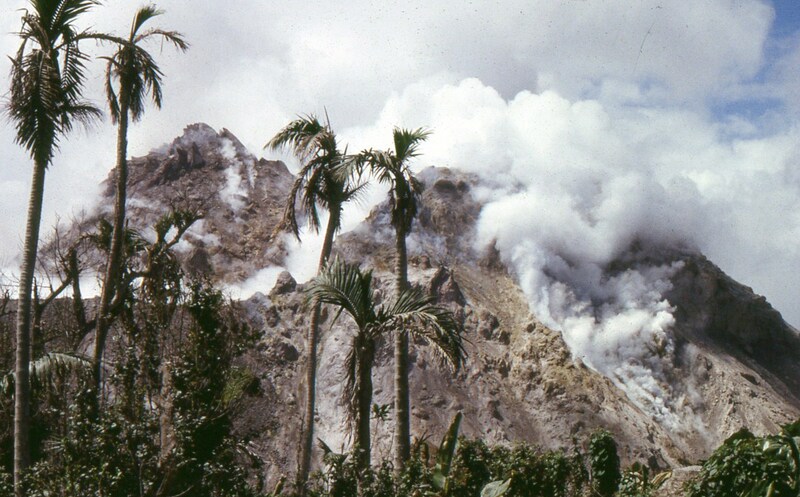 View of the steaming dome of the Soufrière Hills Volcano (SHV), Montserrat, in February 1998, just at the beginning of the first pause in the eruption which began in 1995. Since that time, the volcano has gone through another 4 cycles of slow lava extrusion,along with a number of major episodes of dome collapse. The volcano remains active, and closely monitored by the Montserrat Volcano Observatory. Montserrat is a major focus of an ongoing NERC and ESRC-funded research project aiming to Strengthen Resilience in Volcanic Areas (STREVA), and SHV is one of the highlights of Volcanoes Top Trumps!